How much does LiveChat cost ? 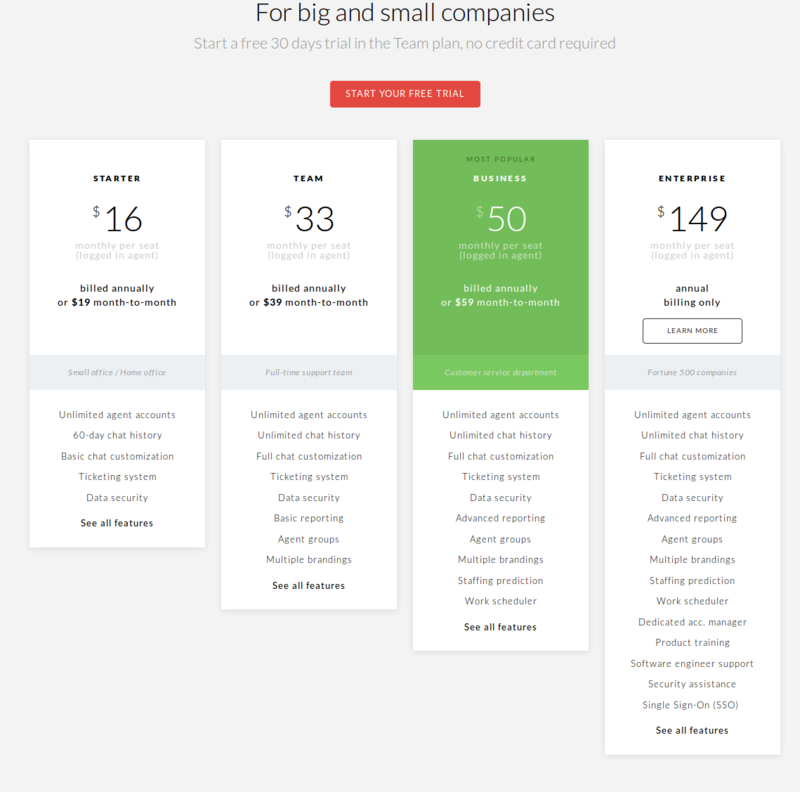 The pricing for LiveChat starts at $16.0 per user per month. LiveChat has 4 different plans such as - Starter at $16.0 per user per month, Team at $33.0 per user per month, Business at $50.0 per user per month and Enterprise at $149.0 per user per month. "Easy to Deploy and Use"
First, I like LiveChat because it is easy to use. With this tool, it is easy to intrract with customers and I can even see what they are typing before the even submit their question or complement. 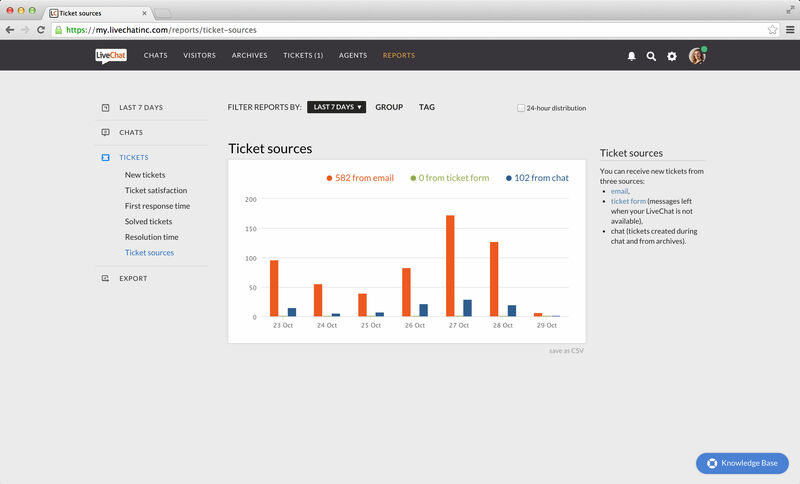 This tool makes it easy to address customer concerns. I also like the fact that LiveChat is very fast and easy on my PC meaning no lagging. It is a must have for our business. So far, I have no issues using LiveChat. 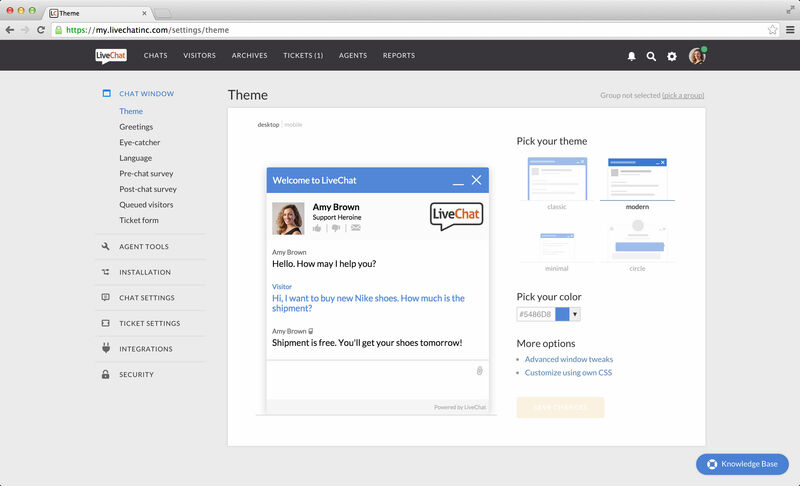 LiveChat is the read deal when it comes to interacting with customers. You should consider deploying it as a business. LiveChat has made communication with our business customers easy hence we are able to address their concern and this improves the customer experience. I enjoy the fact that we're able to 1) see what the customers are typing and 2) see the history of a customer's browsing experience to gain a better idea as to their knowledge of the product. Certain number of chats/users at a time (though I may be missing something). We're able to answer customers' quick questions in a timely and efficient manner instead of having them send us a direct email which can take longer to respond to. This product made it easy to help our external consumers with our customer service reps.
Great product to use if your business has external customers, especially those placing orders that need assistance with anything. 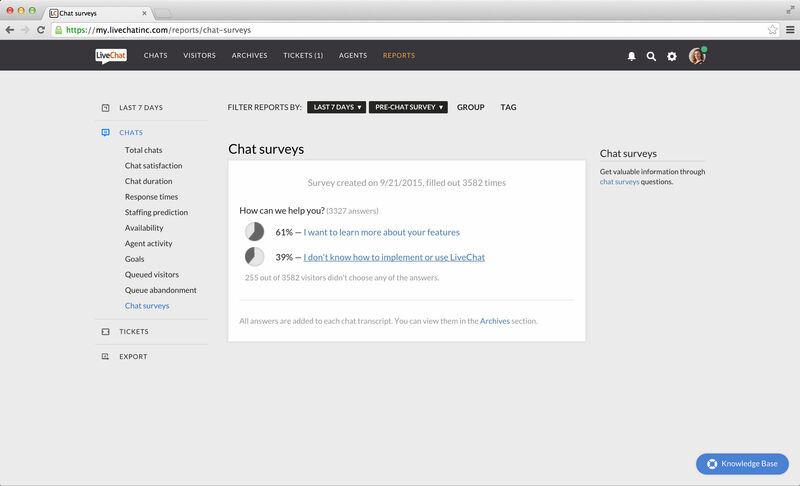 LiveChat was a good way that we could respond to our consumers questions or problems in live time. 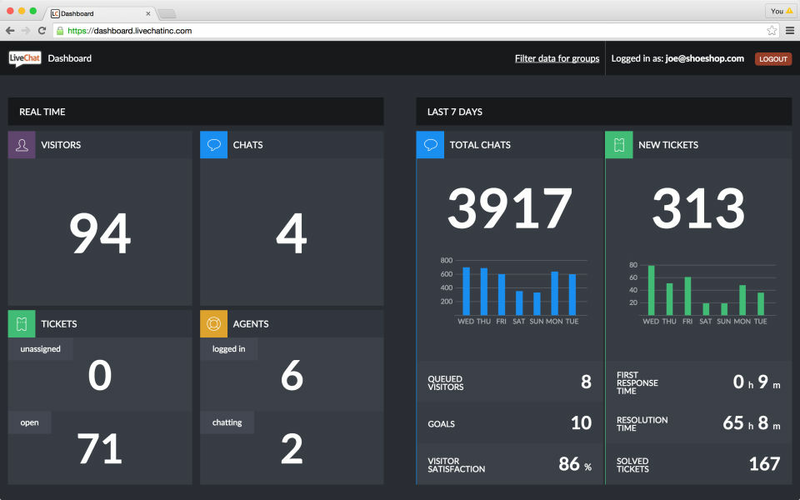 Once you learn the backend dashboard, it’s a very easy software to use. The dashboard is not very user friendly. Chatting with customers in real time. Finding the solutions to the problem before it’s too late. 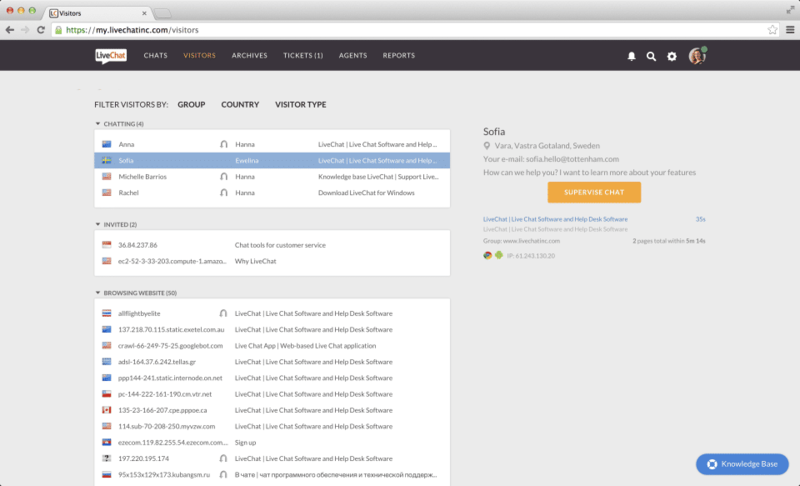 "Exactly what you would expect from a LiveChat product! " Everything you would expect from a live chat module. The most helpful part of this program, and what I like best, is that you may view what a customer is writing before they even submit their question. It really helps answer our customers questions quicker. For the use we require, there is not much I can say about dislikes. It has all the right functions of an online chat module. The only thing is when others are on the site, if there was a way turn have the chime only go off the first time you visit the site, and then never go off again since you know it is already there. That might a little more professional. Quick client services care and because it's in real time our customers tend to have a similar experience as if they were on the phone. Also, if we do miss their chat, we can easily follow-up via email with the information provided by the customer. Cons: The interface could be more attractive , but everything is correct . Pros: Through LiveChat, we work with new customers who have applied to the site about their desire to learn English. Here pupils are distributed between teachers. Sometimes I notify learners about the transfer of classes or other important events. Cons: The functions of the application are very limited on the phone - in most situations you have to work on the computer. Responding to tickets is inconvenient. Updates that are never announced, lead to problems in the chat. This makes customer service so much easier. Why choose to ring them and be put on hold for 30+ min or email them and get a response at least a day later? This is such a good alternative form of customer support. I don't know how much overhead this brings to the business so I guess that is one of the con - it's an extra overhead? 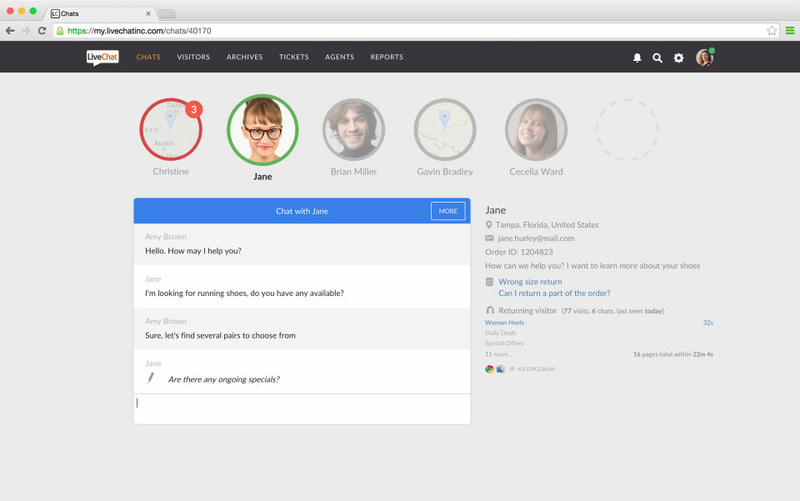 My experience leads me to say that LiveChat is right up there with Intercom in terms of features and capabilities. I have set up LiveChat and Intercom for clients but use Intercom for my own company and subsequent brands. 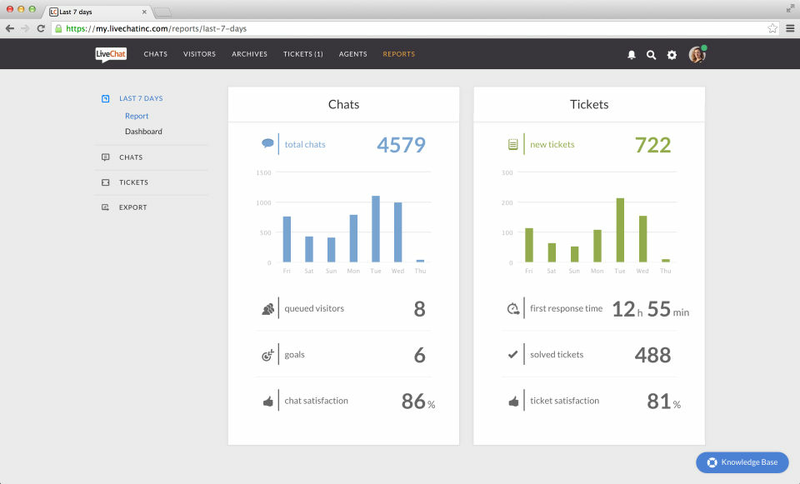 LiveChat is a widely used and respective platform with great automation capability, maybe even better than Intercom. The ease of use for site integration with both WordPress and Drupal and other CMS platforms makes it versatile for small to medium-sized businesses but with the power needed to run and automate business on a large scale. It's completely scalable for anyone. Cost-effectiveness for small to medium-sized businesses is my only concern, but with the caveat that I was also forced to fit requested capabilities within an agency budget. Re: The sales guys may have underestimated the monthly contracted amount based on what the client wanted. :-) As the project manager and as a marketing guy, Intercom comes out of the box with more truly necessary features than LiveChat. But again, I may be biased depending upon the limitations put on me by the sales staff.